Do I Have Lens Fungus? Basically I was replying in another thread to a kid who could possibly have this himself. I have it right now, not a terrible case as I am able to work around it but I am having it taken care of. Typically it can be fixed with a lens cleaning done at VE or any other camera serivce center. way to check for sure is to shine it in a light at night thats usually when itll show up the most case light will be diffused through the mold or fungus making it looks hazy or foggy, if it gets bad enough it will be visible at all times not just when theres over exposure. Whether it be Chris Mulherns Vx1 or a Contributing filmer it seems they have it whether they dont notice or dont care. The skater comes close to the camera with the same effect reflecting light back into the lens rather than the skate just being lit up for being close to the light. Steve durantes line with the switch heel notice the haze coming from around the top of the brown building. Basically I wrote this because when it comes to my cameras health I am extremely neurotic, and maybe there are a few others on here that feel the same. The vx1000 is getting on in years and with age comes problems and malfunctions and from what i have seen it seems to be the one camera with the more commonly seen Fungus/mold problem. A good way to prevent this and condensation build up is to store Silica desiccant packs in your camera bags and to try to avoid humid environments with your camera, I know there are some hot summer days where my camera bag will be soaked with sweat which is why I now open my bag when i get home and allow it to air out with my camera out of the bag. According to Kerry at VE most lens fungus is fixable but there are some instances where it cannot be fixed or just is not worth fixing depending on the severity of the growth you might not notice or care enough to fix, my lens growth wasn't really that bad at all I just had it fixed as I didnt want it in there at all. Some of you may even have it and not notice. I hope who ever reads this doesn't become paranoid that they might have it and go crazy trying to figure it out I just put this here as a way to notice or self diagnose the problem. A good way to check is to look straight in the lens and look for specs other than that of normal dust, what I saw was a transparent speckled pattern accross my Steady shot inside my lens, looked almost like a leopard print pattern. and then if i opened that aperture all the way and zoomed in to better view the back of the lens i could see a green spotty residue behind my iris. Those are somethings to look out for. 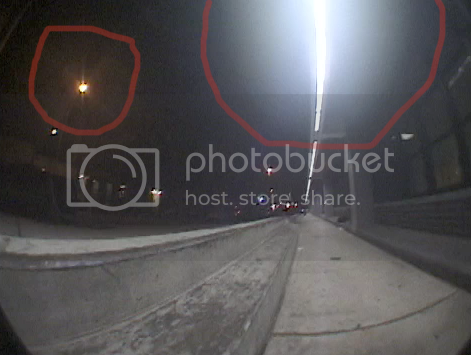 I wish everyone the best when it comes to their vx1's and I hope this can help you figure out the problem if this seems to be a problem for you. very interesting, always wondered what made peoples footage look like that. I'm not a professional I'm just conveying what i learned from personal research and first hand. that looks like it could be it. i think i have a similar looking clip, ill post it in a few and let you compare. I would say it is but shoot Kerry and e-mail and get his input. but think of a mold/fungus build up as a diffusion filter. A clean lens would allow the skater or subject to appear sharp in an image with everything defined as whats apart of the sky and whats in the foreground. The "filter" will allow light to spread across the image giving it hazy edges or making a skaters colors kinda fade in with the back ground. What i have found to work is shooting at a high aperture will let you pretty much focus through the haze, or by using the gain shift at -3 can help sometimes. Good job, I'll be sure to check for this when I get my camera back. unless your tried really hard to give it to it i dont think it will. Vx1's have pretty poorly sealed lenses which is why half the time it looks like they were used as ash trays when they are pointed towards the sun. I got my Vx back about a week ago but havnt had time to post befores and afters. Luckily the service center helped me out alot and hooked it up on the price. I wound up having the fungus/mold/whatevs behind my iris inside of what i would assume to be my image censor, the part was sealed and unclean able but they replaced the part and now everything is beautiful, Here are before and afters I tried to pull frames that were close enough to each other for clean comparisons.